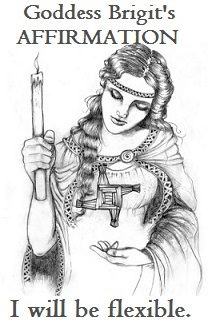 Goddess Brigit’s Ritual-Make A Decision! 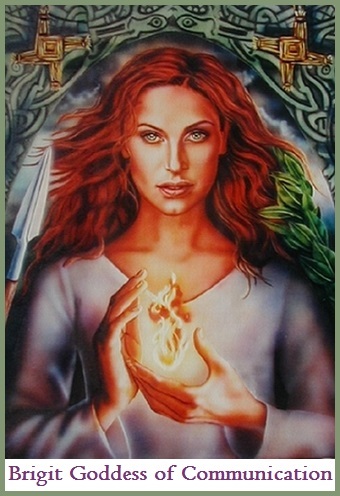 Brigit inspires, empowers and encourages us to express our truth through our purpose. She offers assistance in releasing and transcending fears; self-limiting patterns and unhealed energy, helping us to feel protected and supported through any and all aspects of self-expression. 1. Select ribbons of different colors to represent two courses of action and write each on one of the ribbons. And tie them to the tree. Reveals my path to me. 3. Return to the tree in a few days and check the ribbons, they can help you-MAKE A DECISION! The ribbon whose words are clearer to you holds the choice to make. If there is no change in the ribbons, then postpone your decision.